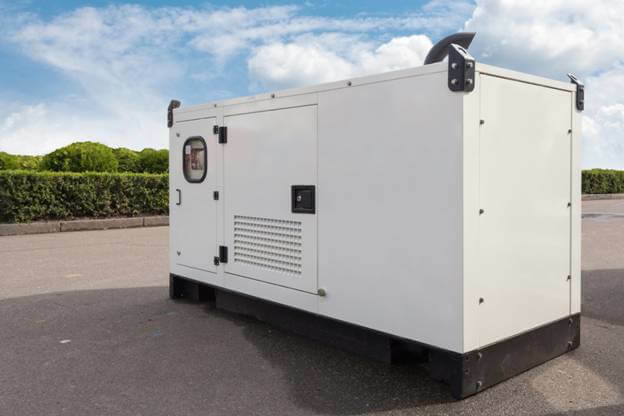 If you happen to have a diesel generator, there are some additional things to remember when storing the fuel for future use. Why? A generator is pretty useless if you don’t have adequate fuel supply retrievable at all times. Furthermore, if you fail to properly store diesel fuel, you could be putting yourself at considerable risk when it comes to your employees and business. Not to worry; we’ve got you covered! How Long Can You Store Diesel for? Once diesel leaves the plant, the oxidation process begins. As the diesel oxidizes, deposits form in the diesel that can lead to permanent damage to your generator. Delaying the oxidation process by storing diesel fuel at cooler temperatures will help, but this solution is usually only effective for approximately half year to a year. Due to this fact, it is highly recommended that you know how much diesel you have onsite at all times, and how long that diesel has been there in the tank. If you’re looking for ways in which you can extend the lifespan of your diesel, you can use biocides and stability treatments to help. Biocides will continuously attack diesel fuel bacteria growth, which ultimately stops destructive sediments from developing to begin with. Fuel stability treatments on the other hand, stop the diesel from wearing down chemically. For your safety, you’ll want to confirm that the fuel storage tanks are maintained regularly. As time passes, a diesel storage unit can be affected by water contamination which is threatening to the quality of your fuel. Industry specialists usually suggest that you reduce any empty space inside your storage tank as much as possible, because this helps to accumulate any present moisture. Water that enters your tank can lead to a slew of issues, most specifically taking away from the quality of your fuel. Regulations on fuel storage units can vary depending on your location. All areas of the country have difference policies in place in relation to fuel storage practices. We suggest that you familiarize yourself with these regulations before you decide to install or place a storage tank on your property. Is your storage tank underground? Does it meet the local leak prevention measures? What are the necessary processes for repair or reconstruction? Always make sure that your diesel is stored in an isolated region. If you have an above ground tank, we suggest that you build some kind of protective enclosure or canopy to prevent water from leaking in, and also to reduce direct sunlight on the tank. If on the other hand your tank is below your generator, you’ll want to place a slab or some kind of raised surface below it so you can easily access it still. Always check that there is no water piling up at the top or the sides of your diesel tank, and look inside the tank on a regular basis to check that there is no built up moisture anywhere. Lastly and while this one may seem obvious, always keep storage tanks in considerable distance from any areas that could cause ignition. For safety purposes, ask that your electrician take a look at any nearby electric outlets if you have any near your storage tanks. At Roma Fuels, we know how critical it is to ensure your fuel is readily available whenever it’s required. We provide on-site fleet refueling services so you don’t risk losing any productivity in your day. No more equipment downtime! We refuel your construction machinery, rental construction equipment, storage tanks, fuel cubs, mobile storage tanks, generators, and more! Contact our team today to discuss your unique needs with us; we’ve been in the industry since 1968; you CAN count on excellent service and superior product.